Published: Dec. 2, 2018 at 03:35 p.m. 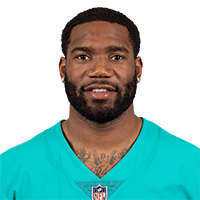 Published: Dec. 2, 2018 at 02:43 p.m.
Miami Dolphins cornerback Xavien Howard intercepts Buffalo Bills quarterback Josh Allen in the end zone. Published: Nov. 25, 2018 at 08:26 p.m.
Miami Dolphins cornerback Xavien Howard intercepts Indianapolis Colts quarterback Andrew Luck for the second time. Published: Nov. 25, 2018 at 05:58 p.m.
Miami Dolphins cornerback Xavien Howard intercepts Indianapolis Colts quarterback Andrew Luck.